The range of luxury taps and sinks available with Tom Howley is simply exquisite. Hand-selected from the finest manufacturers and checked against our exacting standards, you can be sure of the highest quality. 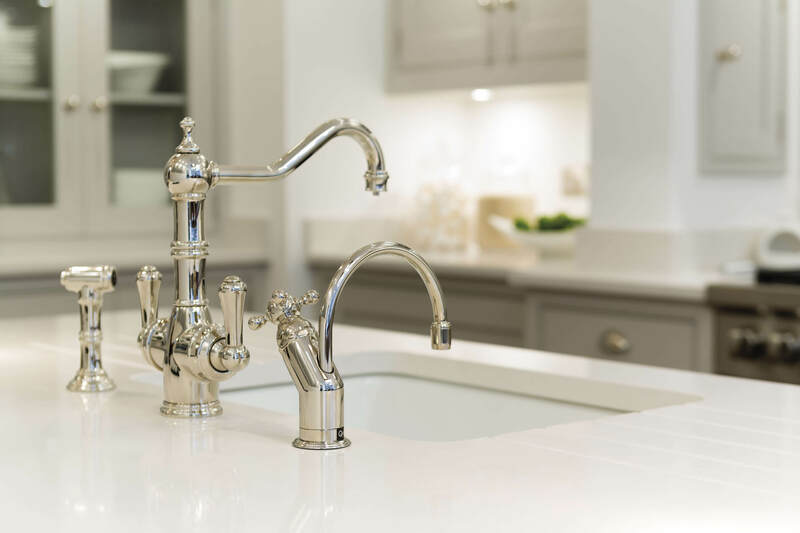 The range of luxury kitchen taps and sinks available with Tom Howley is simply exquisite. We trust only industry-leading brands such as Kohler, Perrin & Rowe, Franke and Quooker, to deliver the quality you expect. 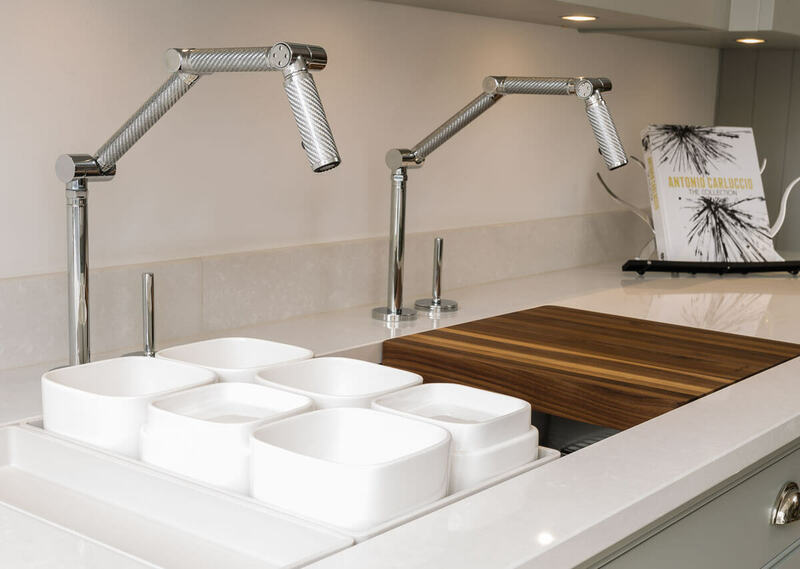 From outstanding stainless steel and ceramic sinks, to instant boiled and filtered water taps we’ll work with you to find the ideal finishing touches to your luxury kitchen. Each of the taps and sinks we offer our clients have been carefully and deliberately selected for their quality and ability to complement our designs. We’ve formed special relationships with the leading sink and tap manufacturers over many years, which means you’ll always have an exclusive selection of the very latest designs at the most competitive prices. 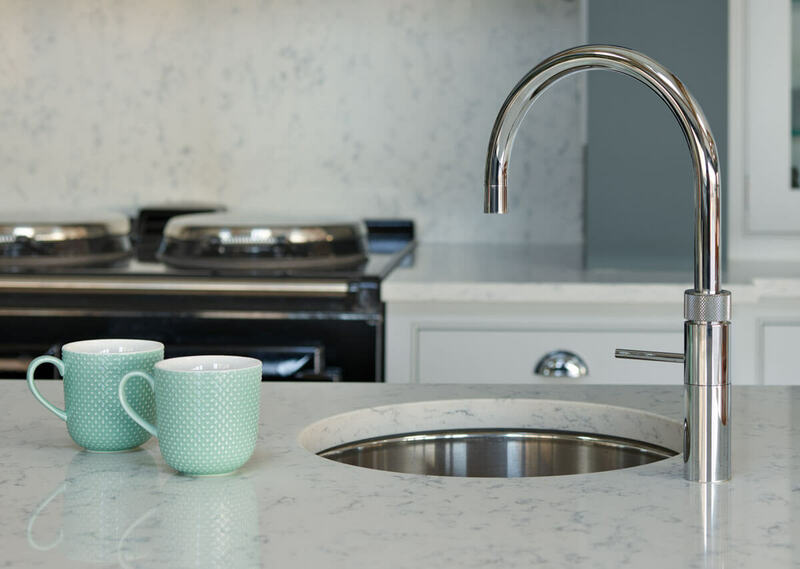 All of our partners offer designer taps and sinks with bespoke extras that are personal to you and your lifestyle. For instance, you can choose to have side spray rinse or intelligent filtration technology incorporated into your design. 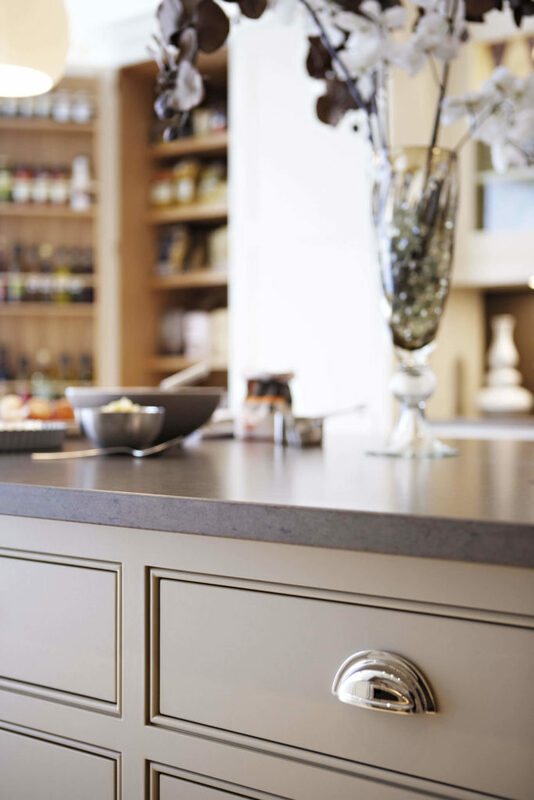 Our kitchen sinks come in a wide range of materials, styles, sizes and colours which can be incorporated seamlessly into islands or perimeter worktops, depending on how you want to use your kitchen. We’ll help you to select the designer sink that’s perfect for your needs and blend it beautifully into your finished kitchen design for a truly luxurious finish.